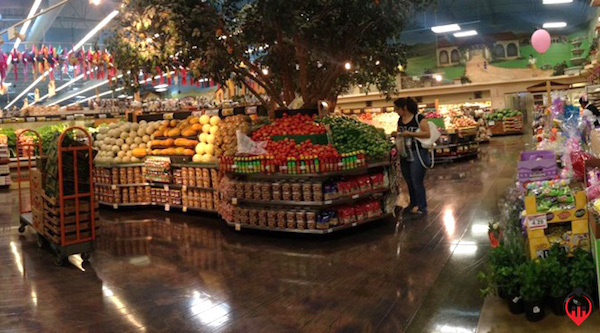 Steve’s breakdown: Cardenas Markets and Mi Pueblo supermarkets are merging via KKR. No doubt they intent to spread east and take over the market completely. Jump on this wave! ONTARIO & SAN JOSE CA: Two Hispanic supermarket chains are merging with an eye to extending their footprint beyond their home base. Private equity firm KKR announced it is combining Cardenas Markets and Mi Pueblo, which KKR (and Victory Park Capital) acquired at the end of last year. The combined business will operate as Cardenas Markets LLC and will become one of the largest Hispanic supermarket chains in the country. The company said it has a number of new store openings planned over the next few years. With locations throughout California and Nevada, Cardenas Markets plans to explore opportunities to expand the company’s footprint across other key Hispanic markets. Each grocery chain will continue to operate separately, but will be managed under one executive team led by CEO John Gomez. Prior to being named president and CEO of Cardenas in December, Gomez served as executive VP of Trader Joe’s. The merger will make it possible for both businesses to maximize efficiencies, offer competitive prices for quality products and further invest in the store experiences. Cardenas Markets is based in Ontario, California. It operates 31 store locations throughout the Inland Empire Imperial County, Pomona and Las Vegas Nevada. San Jose-based Mi Pueblo is Northern California’s leading Hispanic grocery retailer. It operates more than a dozen stores in the Bay Area, Monterey Peninsula and the Central Valley.